Looking for an exceptional pre-owned vehicle near Scottsdale? 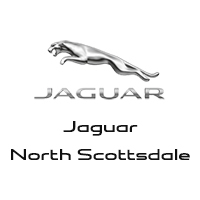 Visit Jaguar North Scottsdale and take advantage of our extensive inventory at great prices. We want you to find a safe, reliable vehicle, which is why all our used cars are thoroughly inspected. And because we also want you to get a great deal, we give you many used vehicle exclusive offers. Explore our inventory today, and visit us in person for a test drive! Ready to impress your Paradise Valley neighbors in your next Jaguar, like the elegant full-size Jaguar XJ? We want you to find a used car you are proud of, which is why our certified mechanics inspect each and every vehicle for quality and performance. Our helpful team will answer all your questions about the used car-buying process, and we’ll even be there for you purchase! Visit our service department for ongoing maintenance, and contact us with any ongoing questions about our inventory of used Jaguar models and more.